whilst supporting what she believes are amazing causes! With the sale of every t-shirt we will donate 20% of the profit to a number of hand-picked charities. women. 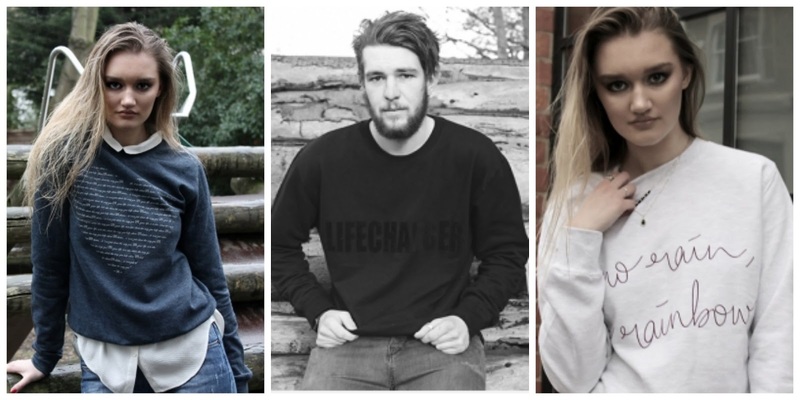 Three different sweaters and six t-shirts are available at www.madebyriley.co.uk. I love that these have been designed with charity in mind. I think it's nice when successful people give back to things like this. The grey sweater looks very cosy. I like these sweatshirts a lot! And I love the fact the social responsibility aspect. Great post. I'd never heard of Riley Uggla but I'm very keen to take a look at her website! Thanks for this post! I love anything charitable (i do wish a little more than 20% was going to charity though) but its great that Riley is stepping out of the MIC mold and giving something back! Cute jumpers too!